Notes: The Harborne Railway, running for just over two miles was, authorised by an Act of Parliament dated 28 June 1866. It had been part of a larger scheme put before Parliament in the 1866 session with a projected junction with the London & North Western Railway (LNWR) at Monument Lane and a further junction with the Great Western Railway (GWR) at Soho. Simmons (1986) suggests that the original purpose in building the line might have been to retain for Harborne the industry that was migrating to Smethwick in the northern part of the parish where there were a canal, two railways and four stations. The line was to be a through route connecting with the Halesowen and Bromsgrove Branch Railway (HBBR) at Lapal near Halesowen. The only part of the line which was not opposed by the GWR and Birmingham Corporation (City Council) was the section from the LNWR to Harborne. When the Harborne Railway Company (HRC) withdrew the GWR junction at Soho and the extension from Harborne to Halesowen the Bill was passed. The HRC was allowed five years to construct the branch, although construction was painfully slow, and in 1870 the company was granted a three-year extension. A working agreement between the HRC and the LNWR was drawn up in 1873, with the LNWR operating, staffing, maintaining and providing rolling stock, in return for 50 per cent of the gross receipts. The line opened on 10 August 1874 and it enabled the residents of this already established suburb travel to and from the centre of Birmingham. The station at Hagley Road opened on the same day as the line and was north of the road from which it took its name. A ramp provided access to the platform. 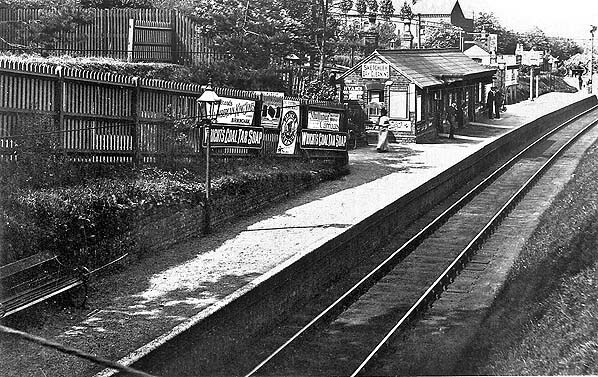 The station was a simple affair with a single platform on the right hand side of the line complete with buildings at platform level. The main building was an undistinguished single-storey brick structure containing the booking office and waiting facilities. A flat canopy, shorter than the building, provided shelter on the platform elevation. Immediately north of it was a timber building, also with a ridged roof, possibly used as a store or offering further waiting room accommodation. The station was provided with a small goods yard entered through a set of trailing points, from the Birmingham direction, complete with coal wharf. The initial service was six trains in each direction on Monday-to-Saturday with three in each direction on Sunday; two of the weekday trains operated as Parliamentary services, although all other services conveyed first, second and third class passengers. The Sunday service was short-lived owing to the residents of Hagley Road complaining about the ‘disturbance of their Sabbath‘. During the first few years of operation the line was a financial success but this was not to continue. In 1879 the company went into Chancery owing to being petitioned by the rent charge holders with a Receiver being appointed by the Court of Chancery on 26 July of that year. It was not until 31 December 1900 that the company was released from Chancery having paid off all its debts. In the meantime the LNWR had made several abortive attempts to purchase the line outright but was continually rebuffed by the owners. Dividends paid by the company were never high, although during the period 1919 to 1922 a dividend of 3 per cent was paid. From its initial six trains per day the passenger service had improved by 1895 when Bradshaw shows 19 down workings from Birmingham to Harborne on Monday-to-Friday with 18 on Saturday. There were 20 up services on Monday-to-Friday with 19 on Saturday. To placate the Hagley Road residents there was still no Sunday service. The line enjoyed its most intensive passenger service in the years prior to World War I, the 1910 timetable showing 30 up and down workings on weekdays every hour from 6.45am until 10.45pm. This made the line the busiest suburban route in Birmingham and was a very early example of regular interval working. Many of the residents along the branch used it not only to travel to work in the morning and back in the evening, but the short journey and frequent service enabled them to return home for lunch. The frequent service continued until the end of World War I when three factors started to affect passenger numbers, although the first two had been in operation for several years. The first was the LNWR’s practice of holding the branch train at the junction with the main line even if an express train was late. This delay was followed by the mandatory ticket inspection stop at Monument Lane station, as New Street was an ‘open’ station. 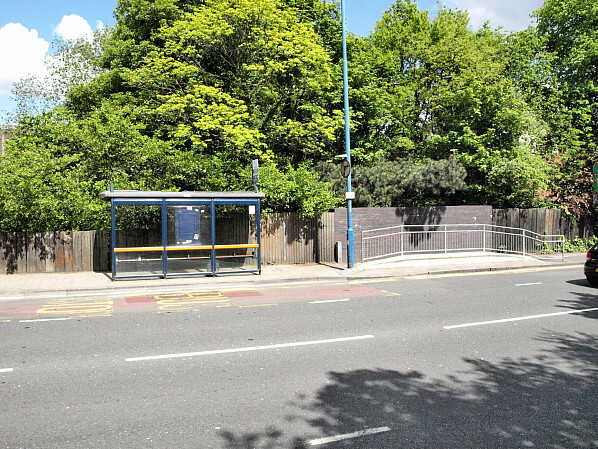 As a result the 20 minute journey from Hagley Road to Birmingham would often take more than 25 minutes. The final factor came in the shape of the Electric Tram cars operating on route 34 which plied their trade from Bearwood to Navigation Street in the city centre, travelling along the length of the Hagley Road and directly passing the station entrance. The time taken by the trains to reach New Street prompted the travelling public to refer ironically to their service as ‘The Harborne Express’. The HRC fought back against the road competition with a price war, and this continued when, at the Grouping of 1923, the line became property of the London Midland & Scottish Railway (LMS). The LMS reduced prices so much that by the early 1930s a day return from Harborne to Birmingham cost as little as 3d (1.25p). This did not attract as many passengers as the LMS had wished, and in October 1934 notice was given by that passenger services were to be withdrawn. The final train was the crowded 11.08pm Birmingham New Street to Harborne on Saturday 24 November, with official closure two days later on 26 November 1934. Withdrawal of passenger services was uncommon in the pre-World War II era, and it caused considerable comment at the time; however this had no effect. 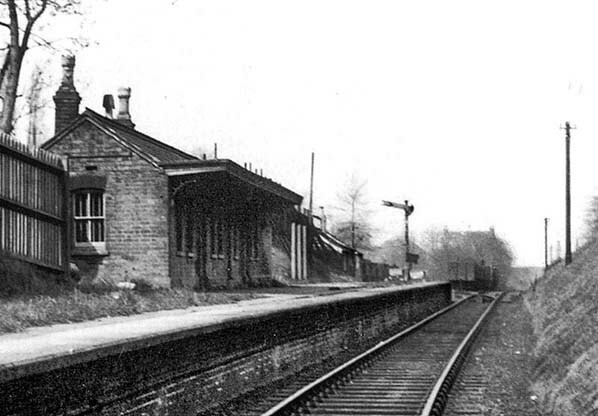 Following the withdrawal of passenger services the station at Hagley Road was retained as a goods station and the goods yard remained very much active. The branch enjoyed three freight workings on weekdays with a morning, afternoon and evening trip. Coal was still the main commodity shipped to the small goods yard, and it remained in operation until the line’s closure on 3 November 1963. Following the final closure of the line the platform and associated buildings were demolished. 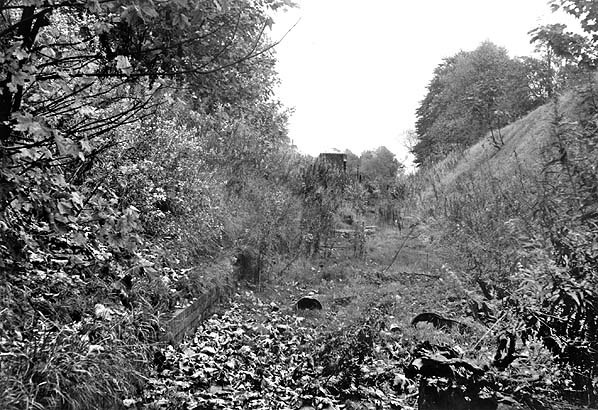 Today nothing remains of the station or yard with only the ramp from the Hagley Road down to what was the station platform. 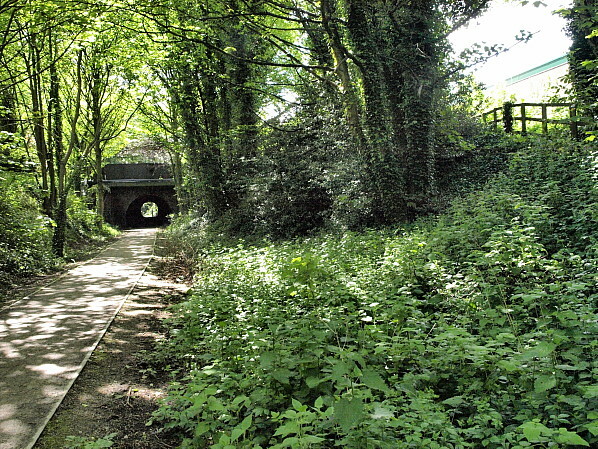 The original trackbed has been raised considerably during the construction of the public walkway and cycle path and, coupled with the growth of trees and shrubs, it is difficult to believe there was ever a station here. The access road to the goods yard is still evident as is the widening of the trackbed to accommodate it. Viewed from the Hagley Road overbridge looking towards Birmingham in around 1910 many of the traditional enamelled advertistments are present. The 1888 town plan shows the relatively un-developed area around Hagley Road station. Within two years the area around the station was beginning to become more of a residential suburbas the 1890 1:2500 OS map shows. By 1918 many rows of houses had been laid out within close proximity to the station. The 1934 street map showing the station as Goods Only following the withdrawl of passenger services. 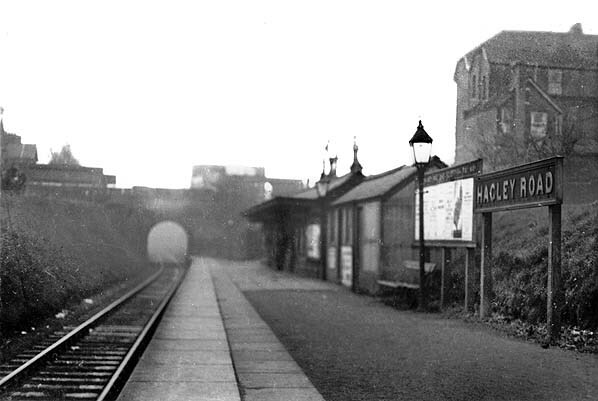 Looking towards Harborne on the final day of the pasenger service on 26 November 1934 The station buildings would remain in use for the associated goods yard. 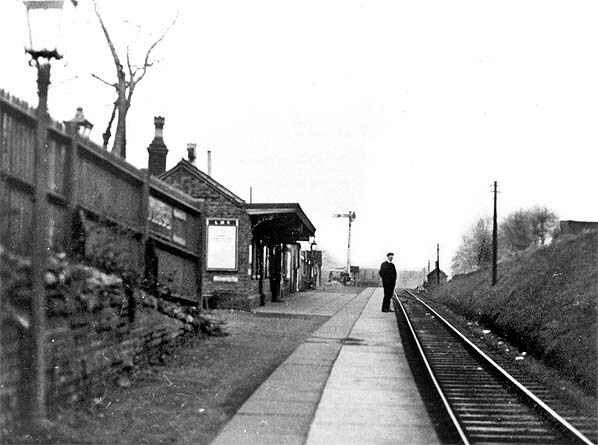 Looking north towards Birmingham on 26 November 1934, the final day of regular pasenger services, with a single passenger awaiting the arrival of a train from Harborne. Looking towards Birmigham following closure all advertising and station nameboards have been removed and the wooden shelter on the platform has been demolished. Looking south from the goods sidings which were located on the Birmingham side of the station. brickwork from the platform survives. Looking towards Birmingham from a similar point from the previous picture. 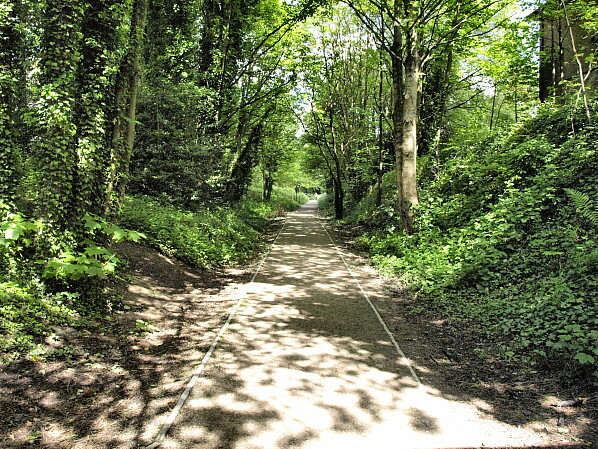 The trackbed has been raised cosiderably in conjunction with the creation of the footpath. Looking towards Harborne from roughly the site of the station buildings the access ramp from the Hagley Road to the station is marked by the fencing to the right. The station entrance viewed across the Hagley Road.